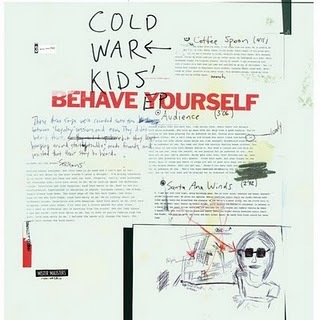 When I first heard Cold War Kids, there was a sense of enjoyment. I say sense because you could tell that they were close to creating something great. The hype seemed premature to me. I liked Robbers and Cowards. A very nice record and there are some really catchy songs on that album. But it didn’t click enough for me. It didn’t click enough to the point that I ignored their second full length Loyalty to Loyalty altogether. I never gave it a fair shot. Behave Yourself had soul. A lot of soul. It still sounds like Cold War Kids but a more soulful version. Like a choir practice in a rundown church. The album’s opener Audience of One sounds like they’re playing in front of a congregation on a Sunday morning. Behave Yourself is only 5 songs long but for one who was never a huge fan, this ep hits me nicely. It makes me want to give Loyalty to Loyalty a listen.